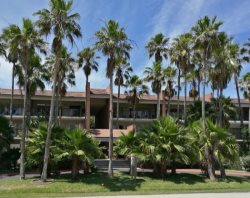 Second floor condo in a quiet complex about half block to beach. Sleeps 6, 2 bedrooms, ( 2 kings, sleeper sofa ) , 2 bathrooms. Cats, Dogs up to 25 LBS allowed. Shared Pool, CITY PERMIT # 2016-231257 NEW LOWER SUMMER RATES ! Second floor walk- up condo close to shopping and dining. Sleeps 4, 2 bedrooms, ( 1 king, 2 twins ) , 2 bathrooms. No pets allowed. Shared pool/ jacuzzi, CITY PERMIT # 2015-991689 All renters must purchase a $ 5.00 wristband NO SPRING BREAKERS ! Vacation rental condominium. Sleeps 9, 3 bedrooms,( 2 queens, 1 full, 1 twin, sleeper sofa ) 3 bathrooms. No pets allowed. Shared Pool, Second floor walk-up. CITY PERMIT # 2015-666853 NO SPRING BREAKERS !